by Daren McClearnon, Keysight Technologies, Inc. The challenge of addressing difficult radar modeling and verification issues requires a time and money saving solution. Keysight SystemVue (electronic system simulation) and AGI STK (inertial and environmental modeling) can be integrated to provide virtual flight testing of radar and electronic warfare algorithms, delivering a highly efficient solution to the issue. Keysight SystemVue can be paired with the STK software from Analytical Graphics Inc. (AGI) to leverage their respective domain strengths in order to address a multitude of testing problems. In addition to SystemVue’s flexible API, the W1905 SystemVue Radar model library provides radar signal processing/domain IP to render the final details of this particular system, and a friendly interface for modeling and test equipment. This combination allows for quick and repeatable validation of multiple realistic radar system scenarios that can be evaluated in lieu of physical flight-testing. In cases where operational flight-testing is unavoidable, they may be evaluated beforehand to ensure they make the most effective use of resources. Taking a system-level approach to a complex design often requires upfront integration and analysis, but it pays in the long run by focusing time and engineering effort on “winning” design strategies. Combining Keysight’s SystemVue software capabilities with those of the AGI STK tool addresses a number of testing difficulties while also providing a multitude of key capabilities. This optimal fusion of software lends itself to an increased ease of use, decreased expense, and enhanced capabilities. The advantages of joining SystemVue and AGI STK are best underscored when applying their capabilities to a flight testing model. Flight testing is the ultimate means to evaluate and measure the performance of a radar system. During an aircraft’s flight, data such as Probability of Detection, Signal Strength, and clutter might be gathered for examination. While effective, this approach does pose a number of challenges to the tester. 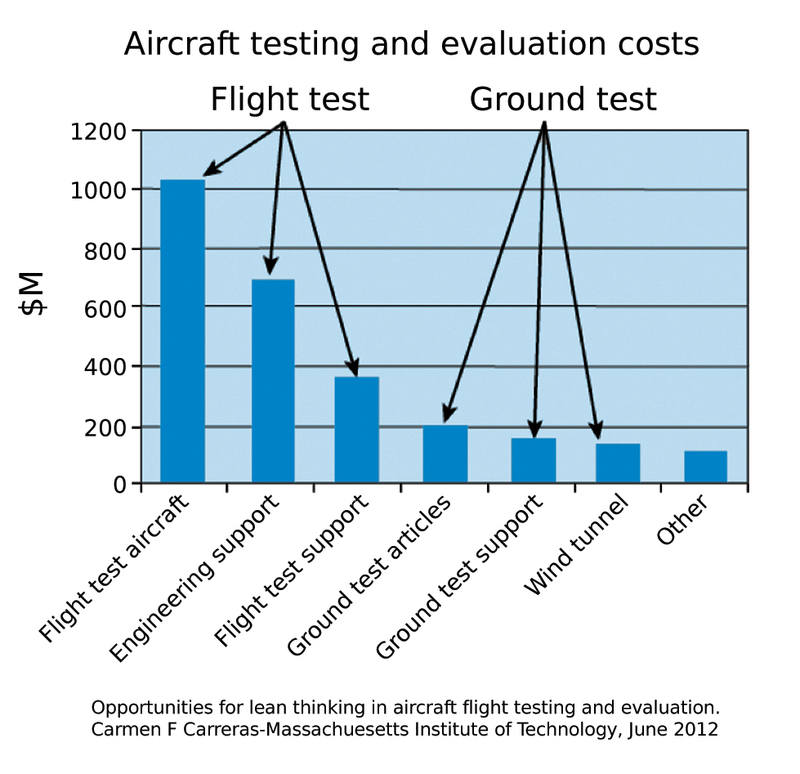 The operational cost of flight testing a radar system using real aircraft can reach well over $100,000 per hour (Figure 1). This typically presents a hardship as the high cost is guaranteed, but accurate results are not. Additionally, the results from one flight may not be replicated in consecutive flights. Each flight is slightly different, demanding the performance of many flights in order to achieve reliable data. To collect enough data, the number of flights needed to be statistically significant would be far too expensive. While final operational verification may still be necessary for contractual or legal reasons in certain cases, “virtual flight testing” offers a faster, more cost-effective alternative for earlier stages of R&D, such as algorithm and countermeasures development. In simulation, complex radar systems can be evaluated hundreds of times in an hour, using the same or different scenarios for each run (flight), and at significantly less cost than a single hour on a flight range. By evaluating realistic virtual flight testing scenarios before or in place of physical flight testing, engineers can validate electronic warfare algorithms earlier, saving both time and money. The benefit of using these software programs in conjunction is undeniable in this scenario. Although this model presents the most clear-cut improvement, these same tools may be applied to any number of alternate testing challenges with equally attractive improvements to efficiency and cost. Merging the capabilities of Keysight’s SystemVue software with those of the AGI STK tool generates a virtual flight test solution. By examining how these two programs complement one another, a multitude of alternate applications become readily apparent. This model may be applied to many testing challenges with the same optimal results. The W1461BP SystemVue Comms Architect is an electronic system-level design software that integrates modeling, simulation, reference IP, hardware generation, and measurement links into a single, versatile platform (Figure 2). It enables system architects and algorithm developers to innovate the physical layer (PHY) of wireless and aerospace/defense radar and communications systems and provides unique value to RF, DSP and FPGA/ASIC implementers. The W1905 Radar model library provides baseband signal processing reference models for a variety of radar architectures. STK is a physics-based software geometry engine that accurately displays and analyzes land, sea, air, and space assets in real or simulated time. It may include the aircraft flight dynamics, terrain effects and the aircraft’s 3D radar cross section (RCS). The basic STK process is to define a system link scenario with a moving transmitter (Tx), receiver (Rx) and interferer objects. The scenario is then analyzed to obtain system metrics as a function of time (e.g., range, propagation loss, RCS, noise bandwidth, and Rx signal strength). Third-party tools can control almost everything within STK. However, the software has no inherent ability to process signals from radar/communications applications through the dynamic environment link. Linking STK with SystemVue allows arbitrary Tx/Rx radar and communications systems to be modeled with the STK dynamic environment link characteristics. During virtual flight testing, SystemVue models the radar system, including waveform generation, Tx and Rx non-ideal behavior, DSP and RF processing, and radar post-processing. At the same time, STK models the flight scenario and signal path characteristics (e.g., path loss, Doppler, aircraft aspect RCS, and atmospheric losses) of the flight. To gain a clearer understanding of the interface between SystemVue and STK and its application to virtual flight testing, consider the 3D STK simulation scenario of a fighter sortie (Figure 3). 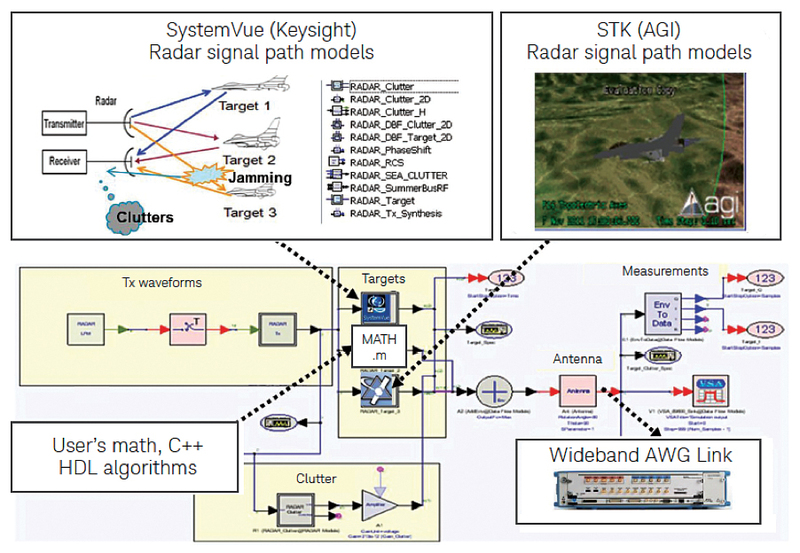 Figure 3: One application of the interface between SystemVue and STK is the ability to do virtual flight testing of radar systems, including DSP, RF impairments, jamming, and interference as an aircraft encounters targets and clutter along a virtual flight plan. In this example, assume the sortie starts at 10,000 feet and is detected by radar. To try to get below the radar, it dives down in order to perform low-level terrain following. This attempt is not always successful. With SystemVue, this same exact run can be replicated hundreds of times, with different radar or electronic countermeasure assets set in place, along with the terrain, aircraft (including 3D RCS) and the radar site characteristics as modeled in STK. Each flight is entirely customizable and repeatable. As shown in Figure 4, a custom user interface can be easily implemented within SystemVue to make repetitive tasks and complex measurements much easier to manage. Here, SystemVue creates a radar waveform and passes it through a transmit chain to multiple target models (including jamming and added clutter). Figure 4: In this multiple-target signal emulation example, test entry comes from a custom user interface with hardware text flavor. With SystemVue and STK, the user does not have to open a simulation schematic. This approach integrates both signal generation and signal analysis. The resultant RF waveform can then be entered into an arbitrary waveform generator and introduced into a receiver for performance validation. SystemVue also has a tight integration with MATLAB, C++, and HDL simulators so existing radar algorithms may be easily integrated into the scenario. Measurement-based data, such as a jammer profile or measured interference, can also be directly integrated into the simulation through links to Keysight test equipment. Linking the SystemVue and STK solutions allows for quick and repeatable validation of multiple realistic radar system scenarios. The pairing of SystemVue and STK provides the tester with a highly customizable system to meet all testing needs and dynamics. Since virtual testing may be applied to various applications, the tester has new freedom and flexibility during the testing process. New jamming techniques or threats, which previously were difficult to address or study, may now be easily evaluated. Each testing scenario is malleable; the tester may inject multiple dynamic emitters and targets into each individual scenario, or they may allow various types of jamming based on a defined set of criteria for dynamic operation. Testers may use modeling and evaluation of cross-domain effects, such as automatic gain control, and they may include unintended interference from commercial wireless networks in their testing. The flexibility and freedom to create any number of virtual models for testing underscores the value of implementing SystemVue and STK into any testing scenario. When operating SystemVue in conjunction with AGI STK, the virtual testing capabilities are unlimited. Test scenarios which before posed too great of an imposition, whether through cost or time, are now easily analyzed. This system presents the tester with a whole new way to look at testing. 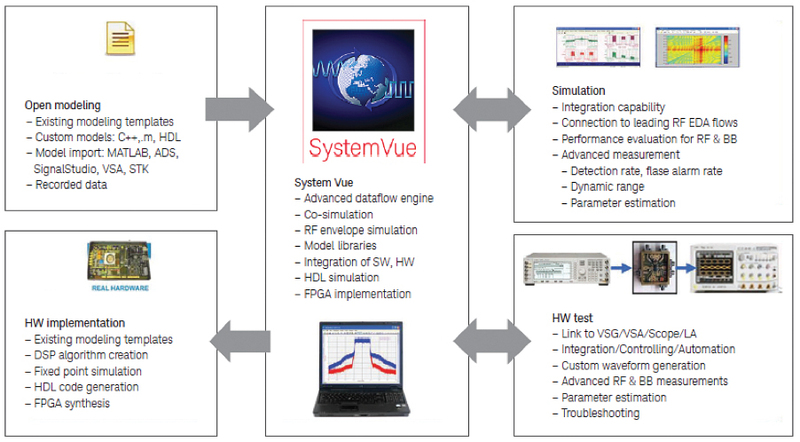 By linking these two powerful software programs, which already provide crucial performance for many testing needs, Keysight effectively provides the solution to virtual testing. The tester now has the capability to get answers faster, cheaper and more reliably. The need for large scale hands-on testing is eliminated, and the customer is reassured that they have received the most reliable and guaranteed results. The above has merely represented one of many possible applications of SystemVue and STK to provide a “system-level” approach to traditional design or test issues. The possibilities for testing are limitless. For more information about SystemVue, please visit us at www.keysight.com/find/eesof-systemvue-info.